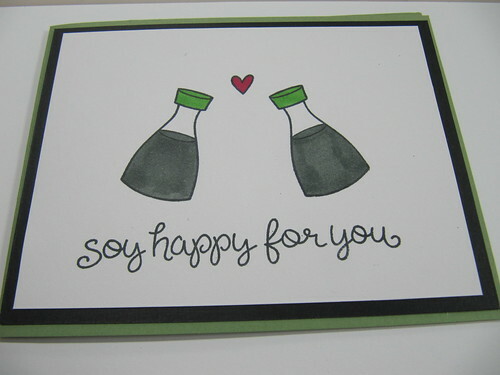 Yesterday I shared the card I made for my brother to congratulate him on his engagement. I didn't want to leave his fiancee out so I made her this quick little card using Lawn Fawn Let's Roll. I have loved this set since I picked it up and I don't even like sushi! This is a simple and clean card. I just added some layering to pull it all together. The images are colored with Spectrum Noir.